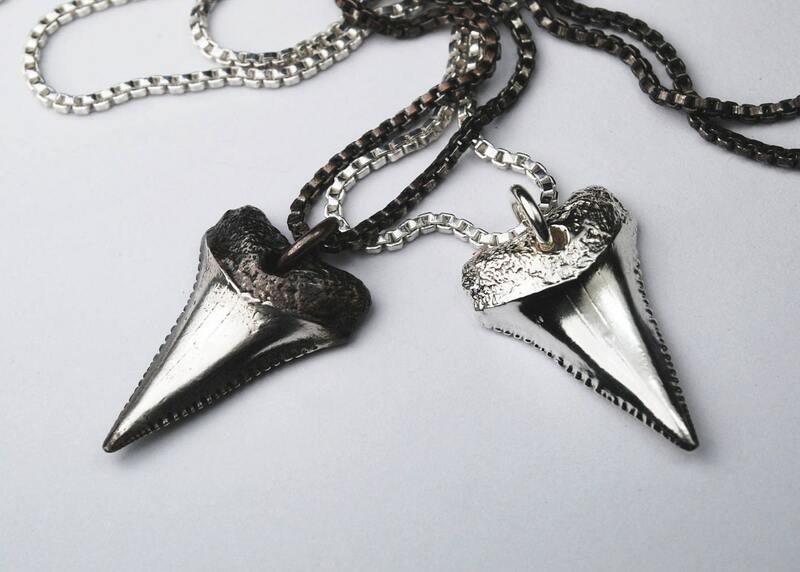 The fossil from which this exquisite silver shark tooth was molded and cast was found by my friend Fred on a South Carolina beach. He very kindly let me borrow it to make this necklace. It is the most perfectly symmetrical tooth I have ever seen and the serrations are all intact. Just beautiful! 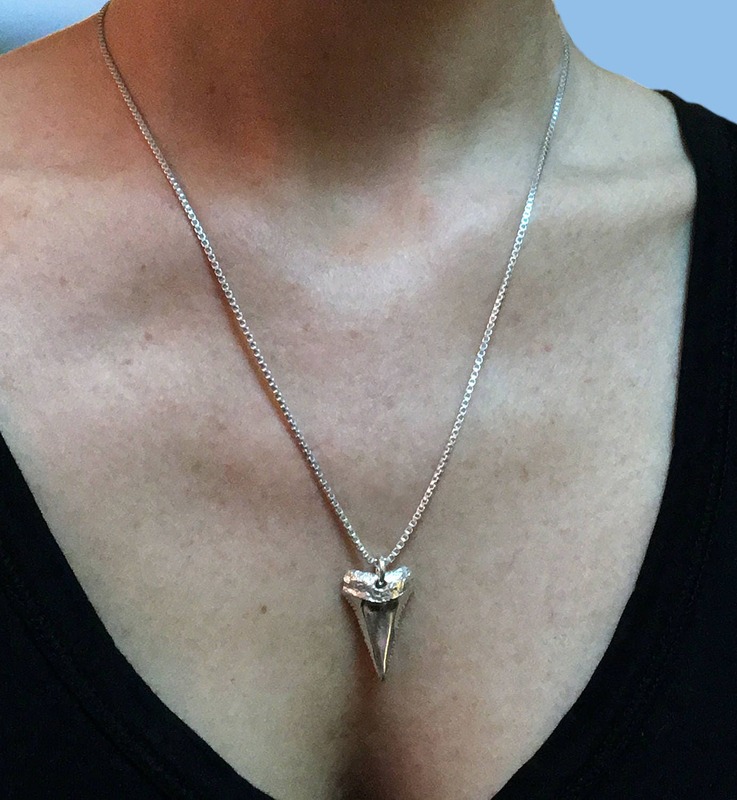 This tooth is cast solid in Sterling Silver and hung on a 50.8 cm (20") Sterling Silver Venetian box chain. Available in white silver or partially oxidized. The tooth measures approximately 2.5 cm high x 1.6 cm wide. Tooth is also available on it's own without chain-with jump ring only. 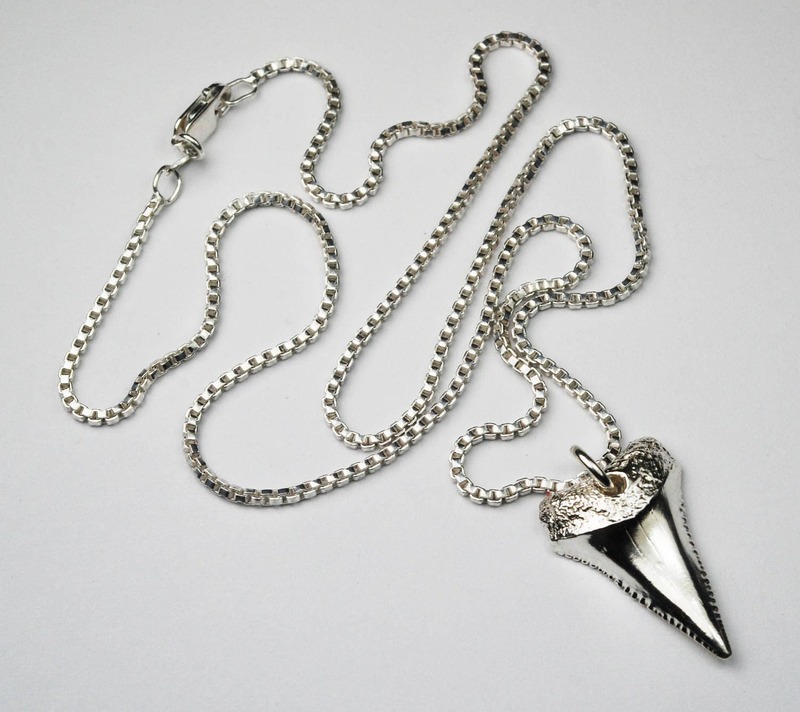 Listing price is for one shark tooth necklace. Six stars!! Jen, i'll be back for more. Absolutely stunning piece. Worth every penny. Shipping to the UK can be a tad tedious and then getting the good old tax man collecting their portion too. However still worth it. They look exactly as shown, the other half was extremely pleased. Will be purchasing the 'black silver' one for myself! Thanks Jennifer.